Please remember that any competitions / events you go to with your side saddle will count towards the Area 8 Performance Awards. See the News page for more information, including how to enter these. Don't forget to complete your booking form and post / email it in. This is a warm and friendly Area 8 Spring show. The venue has plenty of space with a roomy indoor arena. There is also a fabulous café as well as a tack and feed shop on site. There will be classes for all levels of riders. This is the perfect event for beginners to aim for, help will be available for novice riders if needed. Click here for schedule. Entries close 15th April. Late entries accepted on the day, space permitting. Entries close 18th April. Late entries accepted on the day. Have you always dreamed of riding Side Saddle with your horse or pony? Once again we are offering the opportunity to ride your horse side saddle with our Instructor and we have 3 x 1 hour sessions, 4 riders per session on offer. 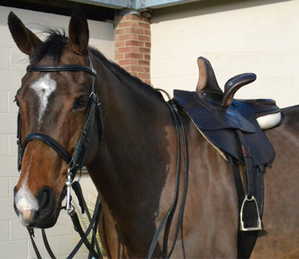 The session includes use of a side saddle, saddle fitting and tuition in the basics of getting started. Our instructor Jo Strange has many years working with all levels of horse & rider both senior and junior in flat work and jumping. We are also offering an Improvers session for those who need help in getting started again. We will be using the large indoor school which has excellent natural light and a viewing gallery with seating, and also the large outdoor all weather surface later in the day. Click here for booking form. Bookings close 19th April. Following the clinic, we will be hosting an Equitation Championships Open Qualifying Class. This will be split into Adults and juniors should entries warrant. We also have a Newcomers 'Best Rider' class for those new to side saddle. Habits are not required for this class and this is the perfect opportunity to get yourself out there in a class in a safe and friendly environment. Click here for entry form. Entries close 19th April. Late entries accepted on the day, space permitting. Following the popularity of these last year and our first sell-out session in 2019, we are pleased to say we have been able to secure another date for the Mechanical Horse clinics. These sessions will be held with Amelia Wilborne (BHSII, RWYM accredited coach) and Jo Strange (SSA A and RWYM accredited coach). Two mechanical horses will be available and members will ride in pairs under the watchful eyes of our knowledgeable instructors, receiving personal instruction. Each training session will last for 45 minutes, with each pair of riders swapping between the trotting 'horse' and the cantering 'horse' halfway through. The 'horses' are located indoors, with mirrors so that you can add vision to feeling on corrections without having to worry about 'go, 'whoa' or steering - hopefully no emergency grip needed either! This is the ideal event for those currently without a horse to brush up their skills and also for those thinking of perhaps taking up side saddle riding. Regular riding members will also benefit greatly from these sessions which provide the perfect opportunity for the rider to focus on their posture, seat and 'straightness', or perhaps to iron out any bad habits! Click here for booking form. Places strictly limited, first come, first served. Bookings close 21st April. Details to be published in due course. This show is show has been very supportive of side saddle classes in recent years and we hope to see many of you out supporting this show either with your horse, or on foot. Click here for schedule. Entries close 15th April. Click here for schedule. Entries close 22nd April. Details to be published in due course. Entries close 25th May. Click here for schedule. Entries close 12th April. Details to be published in due course. Entries close 9th June. Details to be published in due course. Entries close 19th June. Click here for schedule. Entries close 21st June. We are delighted to announce that Kent County Show is now also the proud host of the Final of the JVJ Side Saddle Costume Concours d'Elegance Championship. Competitors have been able to qualify for this series at major shows around the country over the past 12 months and the Final will be held at Kent County for 2019. Click here for schedule. Entries close 17th May. For many, this is the pinnacle of the side saddle competition season. This is always a super weekend away whether you are competing yourself or coming along on foot to enjoy watching - all very are welcome! The event hosts social events, evening performances and parties as well as fabulous side-saddle related shopping opportunities and classes. We hope to see you there! Click here for link to Website. Entries close 8th July. Details to be published in due course. Entries close 26th September. Members, non-members and guests are invited to join us at our AGM on Sunday 20th October at the White Hart Barn in Godstone (please remember that only Members will be eligible to vote). This is the chance to share your views and help shape the Area to become what you want it to be. Don’t forget that nominations for new members on the committee are always very welcome! Following the formalities of the day, we will have presentation of awards for the year. A delicious two course lunch will then be served by our superb caterers. We have opted not to have a formal speaker this year and everybody is invited to relax and socialise over lunch and coffee afterwards when our tombola will also be drawn. We hope to see many of you there. Click here for booking form. RSVP 7th October. Details to be published in due course. Entries close 23rd October. More details on this weekend will be released in due course so be sure to put the date in your diary! Please note: entry closing dates have been provided as a guide only. It is the responsibility of the competitor to check entry closing dates with the shows themselves and ensure they meet the requirements.